We operate a number of air-conditioned mid-end SUV & Toyota Grandia minivan vehicles. Our newest cars, equipped with WIFI – and some with Bluetooth -, are mostly assigned to multiple day tours for your comfort. No pets Allowed. All our rates are all-inclusive. 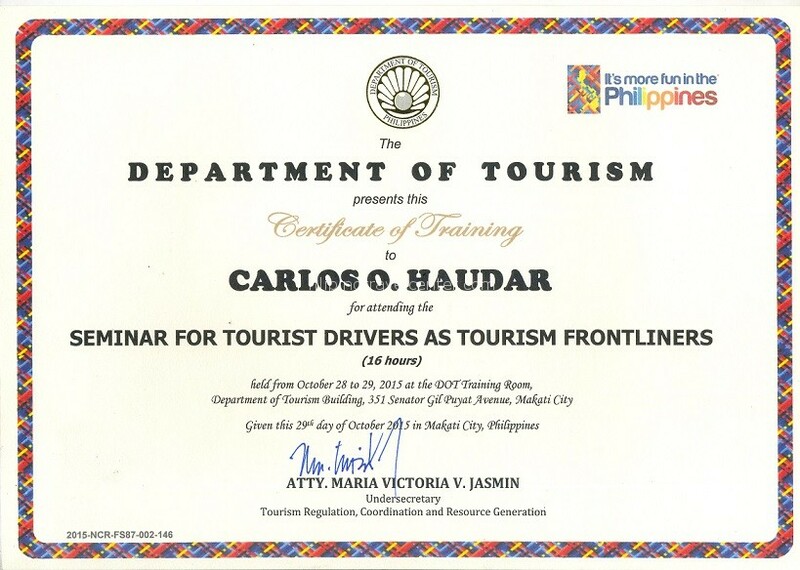 This means that toll, fees for parking, fuel, food and lodging for your driver is already included. – For our multiple day tours we provide a cool box and wifi. 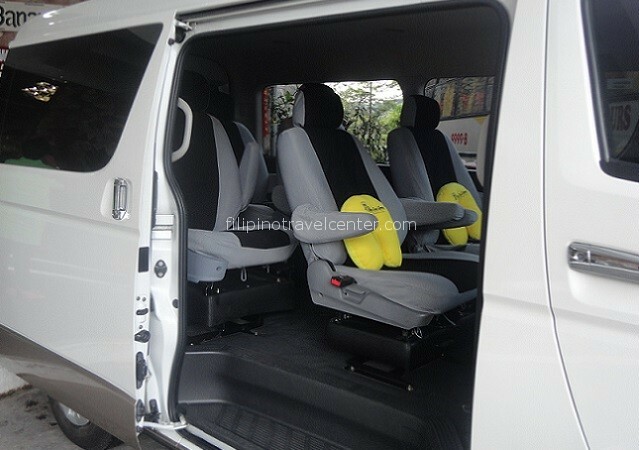 – Toyota Grandia minivan with 6 wide captain seats (max. 7 persons plus limited luggage). – Toyota Grandia minivan for maximum 11 persons (no luggage). 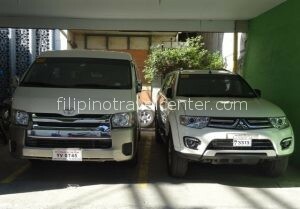 – Mitsubishi Montero Sport, ideal for 2-4 persons. We can also arrange Coaster and Bus upon your request for larger groups. 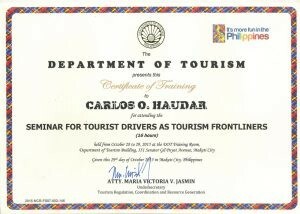 Our English speaking drivers are well experienced Tourist Drivers and have attended seminars with Department of Tourism. 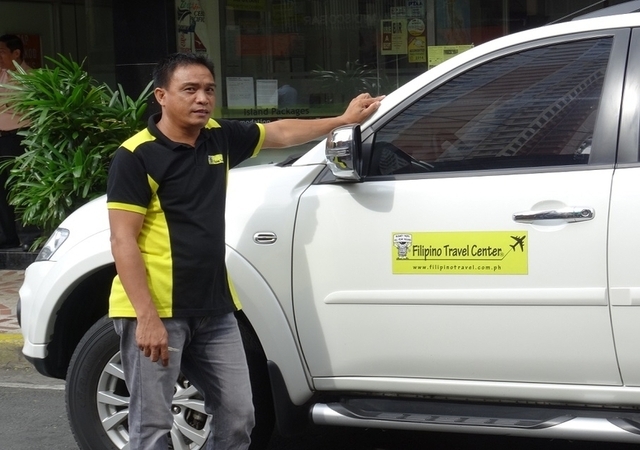 Do you have a question about car rental?